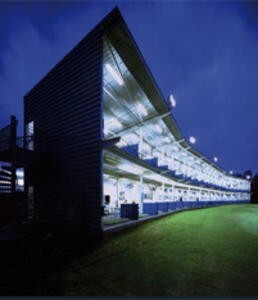 The choice of materials was paramount as was the cutting edge appearance of the building which had to reflect the hi-tech nature of the game. The fabric roof gives the interior a semi-open environment. The transparent lens allows light to enter through the roof as does the semi-translucent PVC fabric.